Planner and architect Rob Pfaffmann is working with the Bloomfield Garfield Corporation to design homes with accessory dwelling units, or ADUs, a housing type that could help foster the creation of more affordable housing. “When I was growing up there were houses all up and down the street, family houses. All kids. Real neighborly,” he said. It frustrates McCoy that some of the houses on his street are owned but not occupied, and that the grass in the park near his house is so high kids can’t play there. He said he’d like to see people move back into the neighborhood; to see the place taken care of. 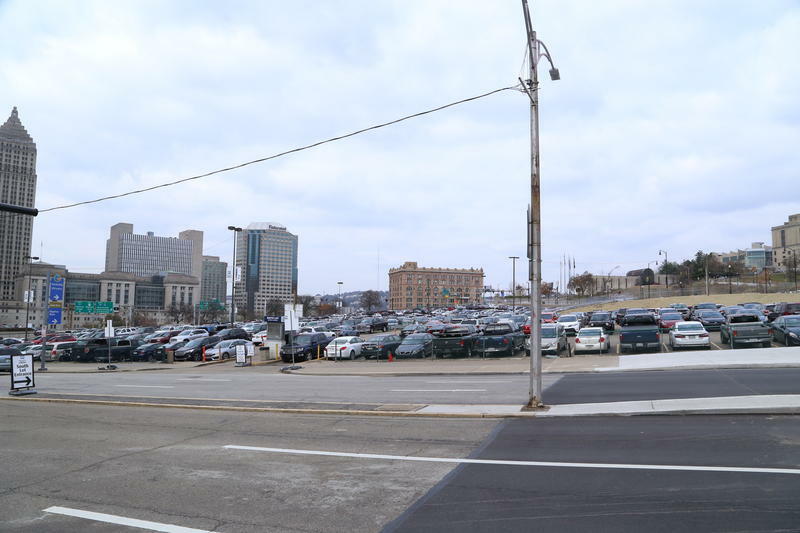 Rob Pfaffmann has plans for those three narrow, vacant lots. Literal plans. 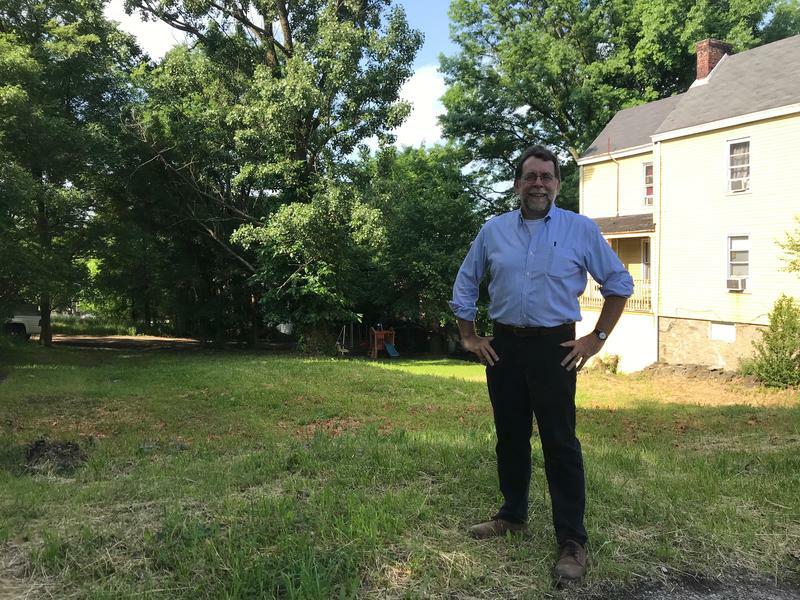 Pfaffmann is an architect and planner, and has been working with the Bloomfield Garfield Corporation to sketch out a new future for the gap between two wood-frame houses. 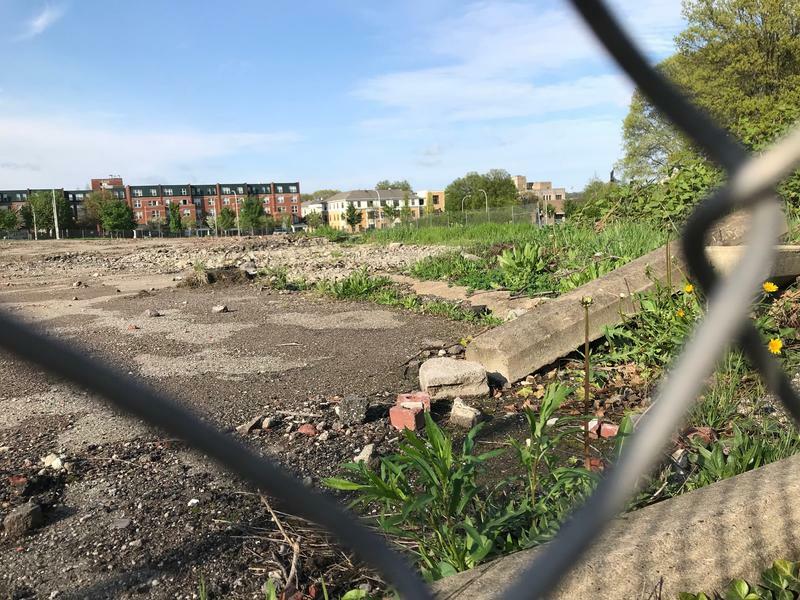 From McCoy’s stoop, and from where Pfaffmann stands on the sidewalk, it’s hard to see the bits and pieces of the houses that used to stand there; early summer grass has carpeted what’s left of the foundations. BCG, which now owns the lots, originally wanted to build three tiny houses, but Pfaffmann said even tiny homes can be expensive. “The cost of investing in new infrastructure—plumbing and sewer to the street and digging down to material that’s good enough to build a new foundation—all costs the same amount of money whether you’re building one stories or three stories,” he said. Because BGC wanted the houses to become permanently affordable, with room to accommodate different needs at different times, the group hit on something called an accessory dwelling unit, or ADU. “But I like the old name of 'granny flat,'” said Pfaffmann. ADUs go by several names, depending on the North American zoning code in question: in-law suite or laneway house. But the idea is the same: build a totally separate dwelling within, attached to or near a home. Ideally, ADUs create more affordable places to live and help homeowners stay in their homes because the rent payments can be used to offset the costs of taxes and maintenance. It’s been two years since a task force recommended a slate of affordable housing policies to the City of Pittsburgh. 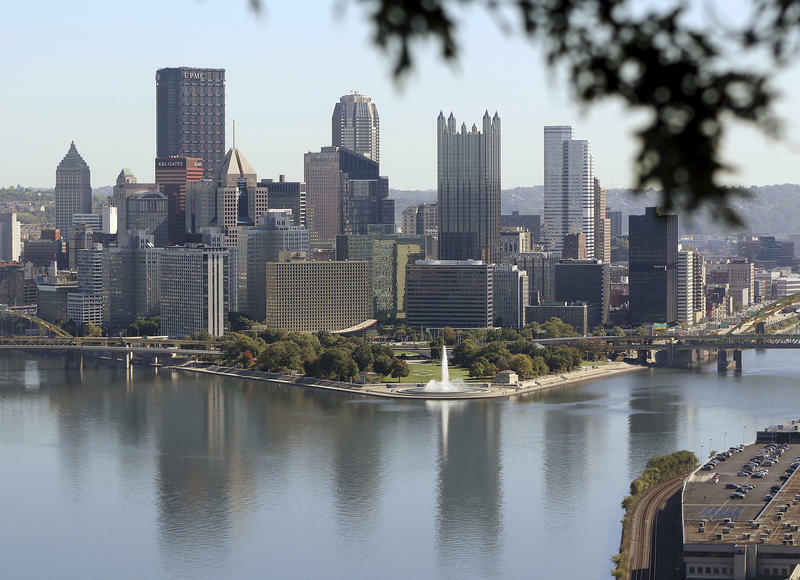 While many of those are now in the works, the BGC sees the construction of ADUs as a neighborhood-level tool that could whittle down Pittsburgh’s estimated 20,000-unit shortage of affordable housing. There are some ADUs in Pittsburgh but exactly how many is hard to quantify, said Pfaffmann; they were built before the era of modern zoning. So the plan remains a plan, for now. In 2016, the BGC worked with city zoning to write draft legislation that would govern the construction of new ADUs. But that bill has yet to be introduced to council. As written, only people who own and live in their homes would be eligible to build. Units would be limited to 800 square feet, and would have to be leased for a minimum of 30 days. That means they couldn’t be used exclusively as short-term rentals, like those available on Airbnb. If Pittsburgh City Council approved ADU legislation, it would launch a two-year pilot in Garfield, during which time the city would study how effective the tool is at encouraging construction. A number of U.S. cities have greenlighted ADUs in recent years—from San Francisco to Austin and Denver to Portland, Ore.—but in some cases, regulations such as mandating off-street parking slowed their creation. In Vancouver, Canada, one of the world’s more expensive housing markets, officials relaxed those kinds of requirements. Now, according to one estimate, more than a third of single-family homes there have an ADU. The idea piqued the curiosity of Garfield resident Daryl Ferguson. Ferguson said he likes the idea of building a home for his mom or his son to live in, or generating extra income. While some argue that’s how ADUs can help keep people in their homes as property taxes increase and maintenance costs stack up, Garfield homeowner James Moore is worried. He said the people who could actually afford to build an ADU aren’t necessarily Garfield’s low or moderate income residents. 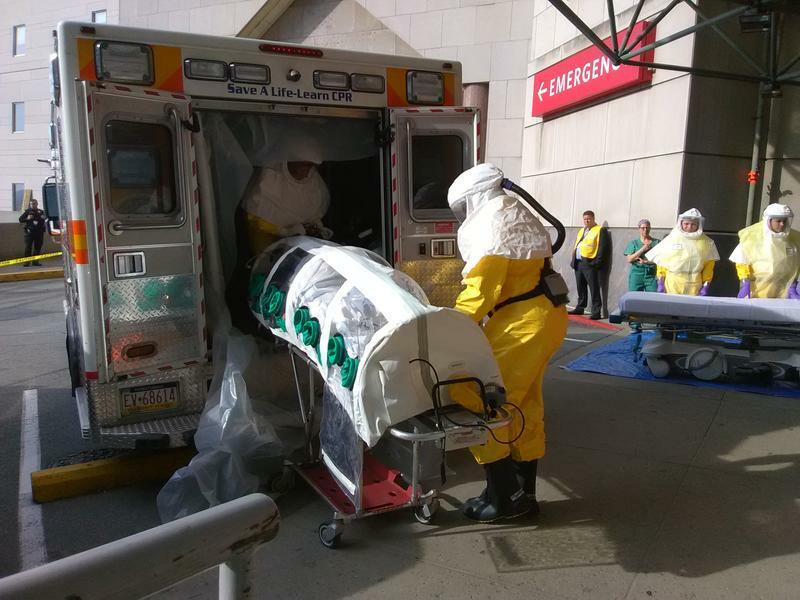 An ambulance pulled up to the entrance of UPMC Preysbetarian's emergency room in early June, a pair of EMTs unloaded a portable isolation pod, basically a human-sized, medical-grade Ziploc bag.